Phrase: With Best WishesGood LuckEnjoy! For Customized Notes, please be sure to include your text above. NOTE: Your name will be written in only if Dr Neppe is available to do so. 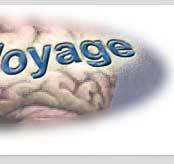 Notable international authority and expert physician, Prof. Vernon Neppe, MD, PhD, FFPsych, FRCPC, defines for the first time the new non-fiction literary genre of Sciction -- science through literature. Psychiatric and neurological medications become comprehensible to patients, families and general readers yet the book is a wonderful text for students and professionals in the health and psychological fields. 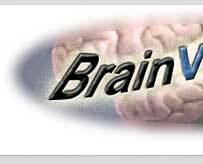 This unique self-help book on brain medications and social and medical issues educates through fascination. Autographed book and Mac and PC Electronic Version Available. This is a book about hope: optimism for those with even the most extreme conditions of the mind. Those in distress will benefit enormously by the positive message of success. But then so will those interested in psychology, medicine or even a new style of writing. 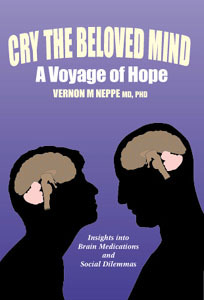 The author, Vernon Neppe has outstanding credentials. He is an internationally recognized pioneer in the fields of neuropsychiatry and psychopharmacology, and communicates that real caring, humanity, knowledge, humor, respect and warmth that we all want in our physicians. We can identify compassionately with every unique and fascinating patient, learn to respect them, and participate in an engaging medical detective mystery of finding solutions to the seemingly insoluble. This is a book you do not want to miss. Every page educates and enthralls the reader-whether patient, physician, intelligent general reader, student or therapist-touching important social issues ranging from gun control to informed consent. The book's broad spectrum engages interest while fascinating and teaching all at the same time. Far more than pharmacology, this book delivers meaning for those who have lost it. Viktor Frankl did so in an abstract sense, and Norman Vincent Peale more pragmatically in his theological directions. This book promises to be the medical and pharmacological equivalent, unfolding through twelve chapters the hope that, by careful evaluation, patients can, should and will get better. The chapters form a series of linked stories blending several real patients together into one using the new style of "sciction" --- science through literature. Through these fictitious case histories, Dr. Neppe explores how correction of the underlying biology of the brain can do wonders for one's mind. The use of extensive dialogue simplifies complex areas and allows easier targeting of specific areas of the book such as depression and anxiety, seizures, psychoses and movement disorders. Dr. Neppe provides insights into drug interactions as well as fashionable alternative medicines like St John's wort, so that it feels like one is consulting with this master clinician. Cry the Beloved Mind has the qualities of a classic-a new style of educating, a voyage of hope for those with difficulties and a wonderful introduction to the area for students of psychology, medicine, as well as members of family and friends of patients. who used a special silhouette technique to attain this effect. Warren is also a world expert on photographing aircraft.